Duncan Hewitt writes for Newsweek and The Daily Beast and other publications from Shanghai. 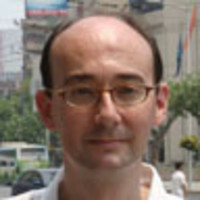 A former BBC correspondent in Beijing and Shanghai, he has a degree in Chinese from the University of Edinburgh. His book China: Getting Rich First: A Modern Social History (published in the UK as Getting Rich First: Life in a Changing China) focuses on social change in the country and its impact on ordinary people's lives.